We did it! We traveled to Italy once again! It was “pre-Christmas” time, I can assure you it’s an awesome time to travel. From Christmas up until New Years, the streets are packed. And although the packed streets have their own charm, I believe that seeing all the Christmas preparations without trying to navigate in a crowded street is even better! We used a great APP for our road trip: Live Earth Map- App. It’s easy to navigate with this App. 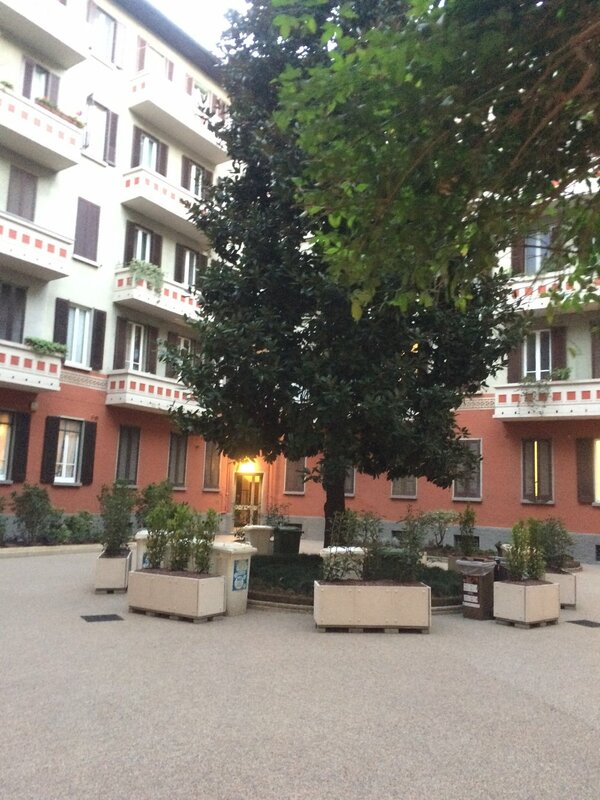 We booked an Airbnb for the first night in Milan: “Your Downtown Apartment in Milan” hosted by Simone Pietro. The apartment has everything you need in it and everything you'd wish for in a walking distance. Simone sent us loads of recommendations about the neighborhood. In the first night out we dine in the best restaurant of our current trip. We got into a random restaurant without any prior thought but our hunch. We then realized that we don’t want to leave this place if only we had more than one stomach.. I want to dedicate part of my content to this restaurant. We’ve opened our next morning in Princi Bakery which was one of Simone recommendations. The place serves delicious breakfast using fresh local products, and the coffee their coffee is fantastic. After all the great food and coffee we had in Milan, we put our trolleys in the car and made our way to Brescia area. 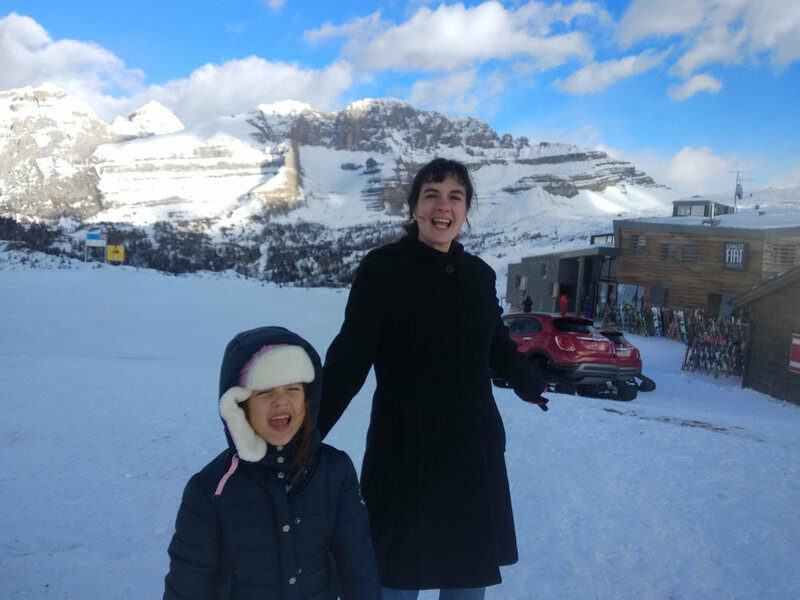 We stopped in order to tour around Garda lake beaches, ate a delicious ice-cream the pier, and touched the cold winter water before we headed up to our Agriturismo. 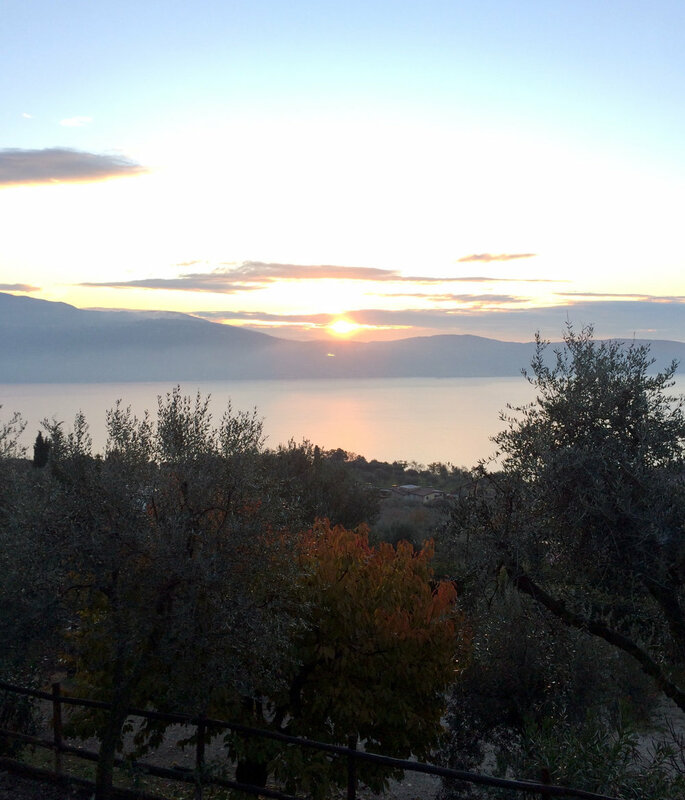 Our new Agriturismo, situated on top of a mountain, observing the view of Garda lake. Giovanni is the kind gentleman who own the Agriturismo Scuderia Castello, his staff were helpful and kind as well. The Agri was charming and part of the charm was thanks to the animals there, dogs, a cat and even horses. The place held an event “SUPPER WITH THE BEATLES”, and they invited us to join them, it was so much fun! Arco will make your heart pound faster than usual, thanks to its gorgeous scenery. The town Arco known as heaven for climbers, mountain bikers and cyclists, due to the fact that the town surrounded by rocky mountains. Don’t be confused, by seeing all these athletes you will catch the bug and find yourself hiking and enjoying while doing it. However, Arco attracts not only sports fans but also a point of interest for families and camping lovers. Walking along the Sacara river which flows into Garda lake was breathtaking, and if that is not enough, it was also the starting week of the Christmas Market, everything looked so festive. 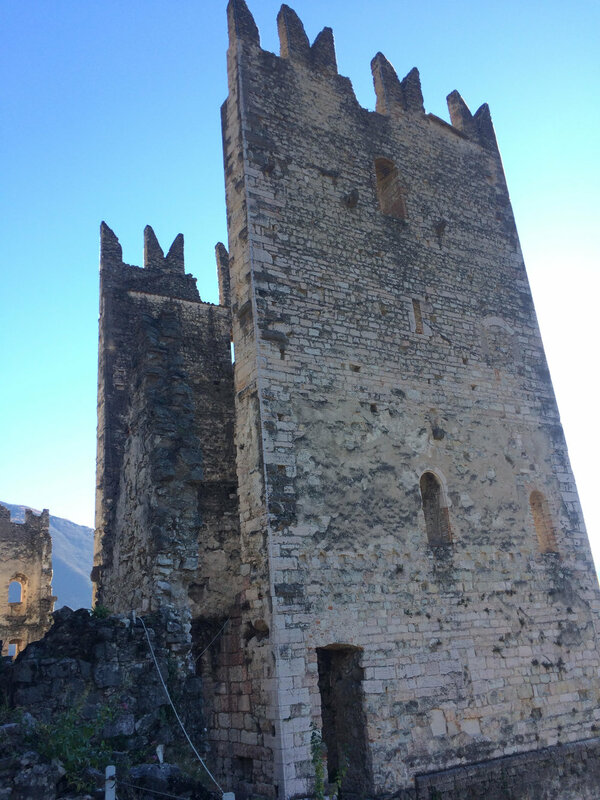 We explored every inch of the market, drinking hot chocolate and ‘Vin Brule’ AKA mulled wine, eating roasted chestnuts, we finally visited Arco Castle. Arco Castle built on a sheer cliff. According to some sources, the castle was originally built in the middle ages and was abandoned during the 18th century than restored in 1986. As we are traveling with a kid, we get to do all of those things grown-ups long for but need a good excuse to actually go for it. 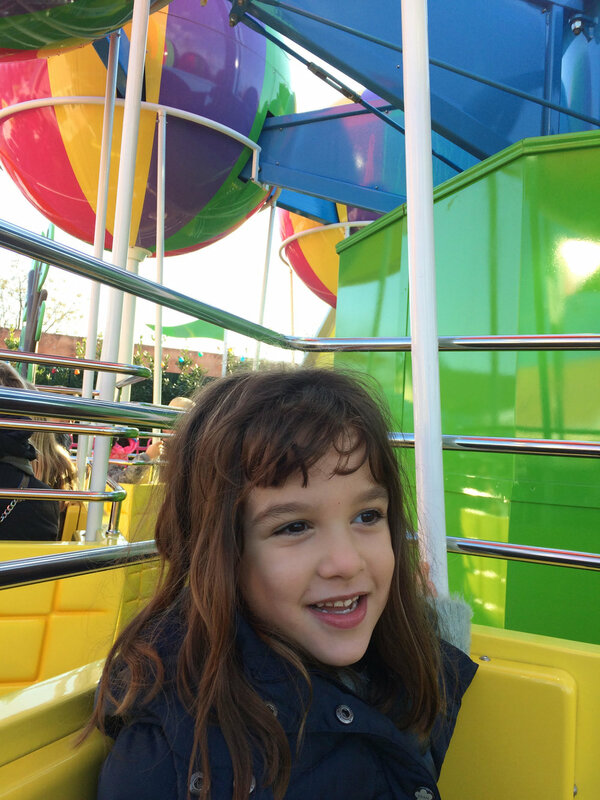 Luckily, our 6 years old daughter, was our excuse to go to Garda Land amusement park. It was our very first time in Garda Land and it was absolutely fantastic! Our daughter said it was even better than Euro Disney. However, she was too young when she was in Euro Disney to remember anything so I wouldn’t count on her opinion. We had a long day as we got on all the park rides. When we finished goofing around, we drove to Verona just to eat Ice-cream, before heading back to the other side of the lake, to our Agriturismo. We were surprised to see the Hanukkiah (the symbol of Hanukkah) next to the Christmas tree in Piazza delle Erbe in Verona. We tried to eat dinner in one of the restaurants in the Piazza it turned out to be a mistake, the food was awful, but then as compensation, we had Ice-cream in Amorino and ended up very satisfied. It was our last night in Scuderia Castello-an Agri that we really liked. We woke up early the next morning, dressed up in our warmest clothes, and got on the roads again. Our first stop was in Idro lake- Lago d’Idro. Everyone talks about the marvelous Garda lake, and I agree it is a beautiful lake, which we spent many days exploring its surrounding. However, the minute we discovered Lago d’Idro we were dazzled, It was love at first site. This lake situated in the Alpine foothills which gives it the ideal scenery of a mountain lake. We walked down to the cold water, lay down on the grassy surface and were simply grateful that we found this peaceful place. 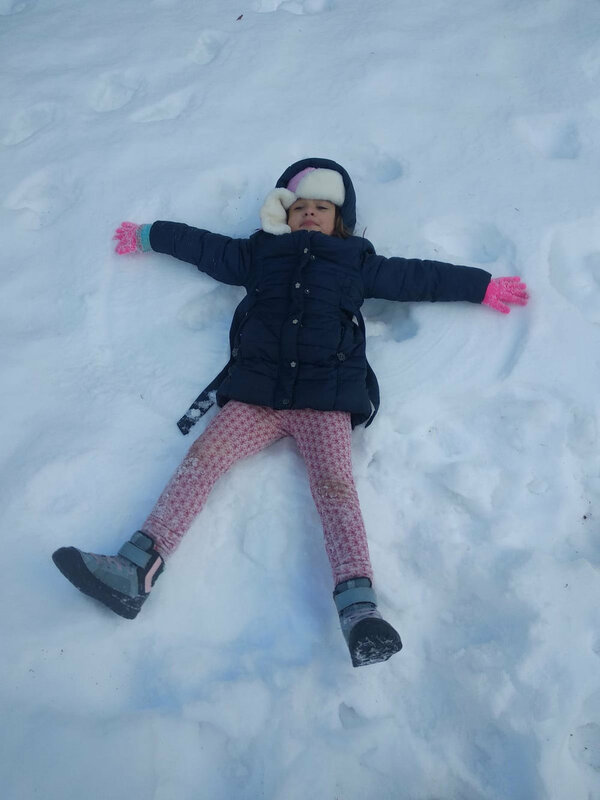 Throwing snow at each other continuously, and making snow angels. That was only the beginning of a wonderful day in the beautiful ski town- Madonna di Campiglio .We took the funicular to the top to see the ski slopes. I envy all of the ski talents we saw there. After a full day in the snow, we made our way to the next Agriturismo- NonSoloMele. Located in the small town Romallo, in Trento county. The manager of the Agriturismo is Silvano, he is an apple farmer, and he brought us delicious apples. Hilda is Silvano’s mother, and she can do magic with their apples. For breakfast, she made fresh cold press apple juice, all kind of jams, and her masterpiece an apple pie. The rooms of the Agriturismo are superb, and I can’t say a single bad word about this place. But, for me the lack of rustic charm was disappointing. The building is so modern and sophisticated. They really did a good job with thinking of their customer's needs. But, it leaves you with no place for dreams about ancient mansions and old stone farmhouses. I would personally, prefer an Agriturismo over a Hotel mainly because of my fond to the rustic charm. The main attraction near Romallo takes you to a 3.5 kilometers journey starting in a V-shaped river valley, replaced by canyon with narrow vertical walls. Then you can decide whether you want to Kayak in the river or maybe just rent mountain bikes. Driving through the UNESCO natural park- Adamello Brenta spread its dramatic view for us, filled me with joy. We’ve stopped to hike the forest path that connects the impressive waterfalls. The Nardis Waterfalls located in the Genova valley inside the Adamello Brenta natural park. The waterfalls are surrounded by the glaciers of Adamello. This hiking trail is very recommended, and it's doable in the winter time. It’s definitely not the only site-seeing in this huge natural park, the Adamello-Brenta covers an area of 620 km2 of mountains. The park has more than 50 lakes in it and the enchanted Adamello glacier. Our next stop was in Lago d’Iseo, yes another lake- I know., but its worth it, I promise. We talked to the ducks cause they were so friendly. At noontime, we left the ducks and headed off to a restaurant. 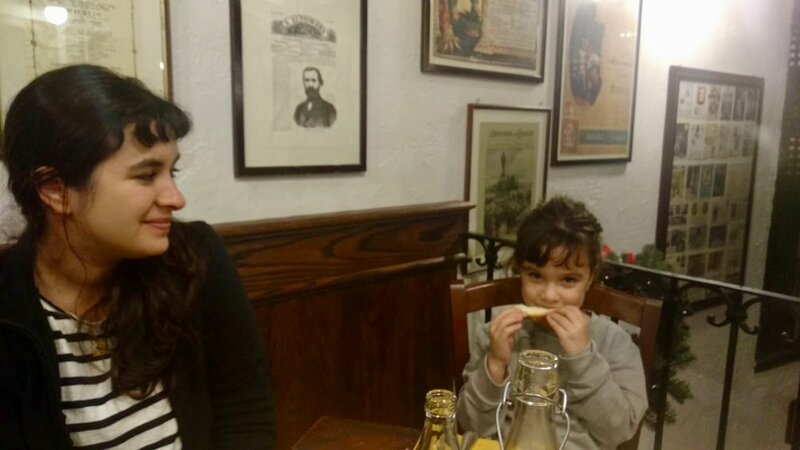 The restaurant La Tana dell’ Orso (The Bear’s Den) transpired to be the perfect chose for us. La tana dell’ Orso located in Vicolo Borni 19, Iseo. The restaurant is cave-shaped and hidden from the human eye as it is underground. The food and the staff are incredible, the chef and the lady that served our table were delightful and made our tired daughter laugh and smile. It’s almost time to catch our flight back home. We definitely didn’t have enough time, so this is not a goodbye, but a see you soon Italy. We spent our last night in Milan in the Airbnb, “Zen Apartment”. The apartment is in a beautiful complex. I could immediately imagine our daughter playing in the inner courtyard with friends. Our host, Federico, was genuinely productive and he equipped us with much good advice.